Ian Livingstone helped launch franchises including Tomb Raider, Deus Ex, Legacy of Kain and Hitman during his years with the company. The Square Enix company blog announced today that Ian Livingstone, life president and CEO of Eidos Interactive, is departing the company in order to work more closely on outside projects. Next for Livingstone, according to the blog, is the establishment of The Livingstone Foundation, whose goal is "to open Free Schools and Academies based on the ethos of creativity, collaboration, coding, problem-based learning and using games as a learning tool." He also plans to serve as an adviser and entrepreneur in the social and mobile games field. Livingstone oversaw the creation of Eidos in 1995, and served as its executive chairman before being named life president. 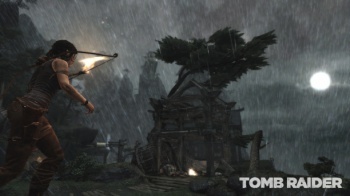 During his tenure with the U.K.-based studio, Livingstone helped launch a number of series and characters still popular today, including a little lady you may know by the name of Lara Croft. Other series released during his time as leader of Eidos include Deus Ex, Thief, Legacy of Kain and Hitman. Eidos was purchased by Square Enix in 2009. Livingstone's influence on gaming extends beyond the digital, as before joining Eidos he helped create Games Workshop in 1975. This studio was responsible both for bringing Dungeons & Dragons to Europe as well as the creation of the Warhammer and Warhammer 40,000 wargame lines.